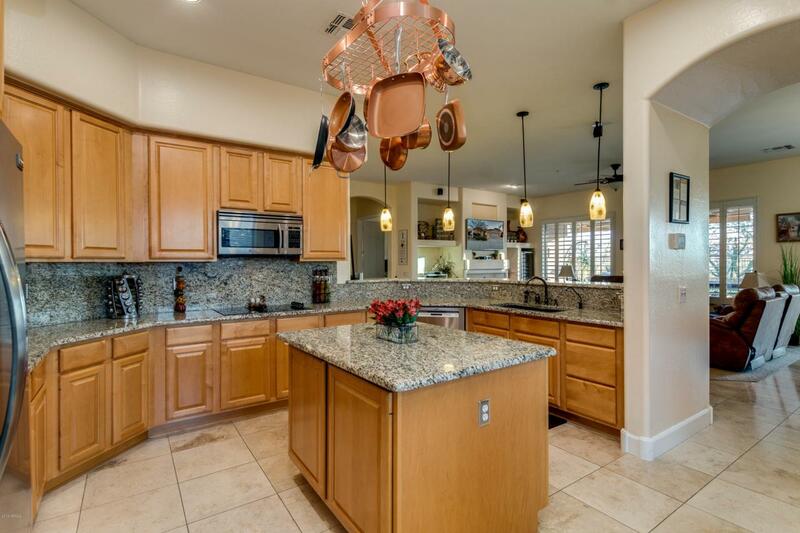 Stunning Guard Gated TW Lewis home situated on a private cul-de-sac lot. 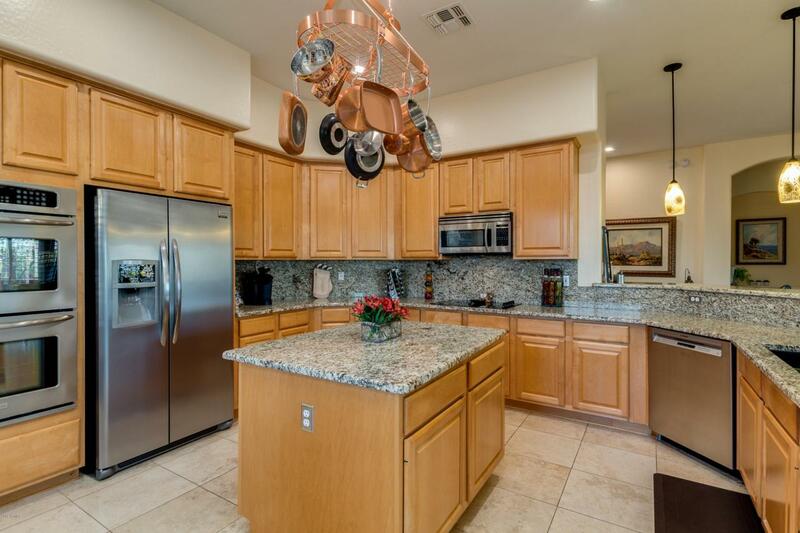 Beautifully appointed with travertine flooring in all the major traffic areas. The bathrooms have been all remodeled with granite and stone. Terrific great room layout with fireplace offers 3 large bedrooms + den with custom built-ins. Plantation shutters throughout. 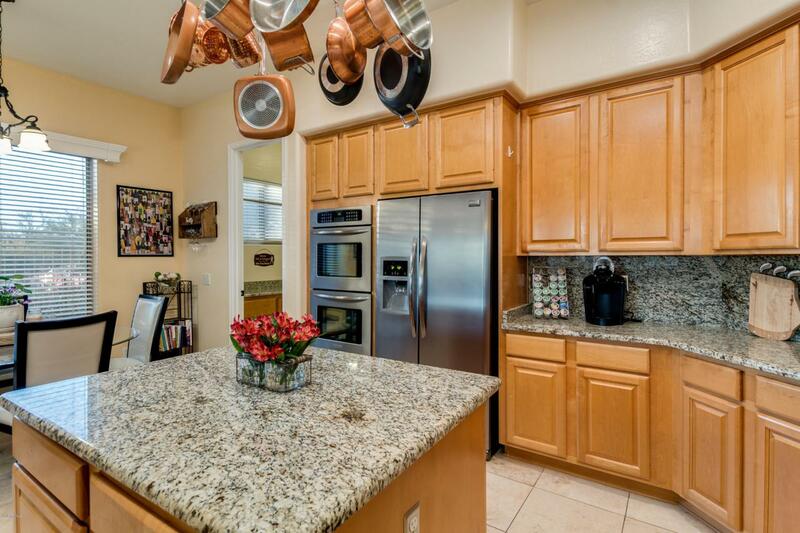 Chef's kitchen with large cooking island, lots of cabinetry plus stainless steel appliances. Oversized lush yard with a pebble-tech pool and waterfalls, synthetic grass and a large covered patio with a custom remote control extended awning. Gorgeous sunsets and city light views. 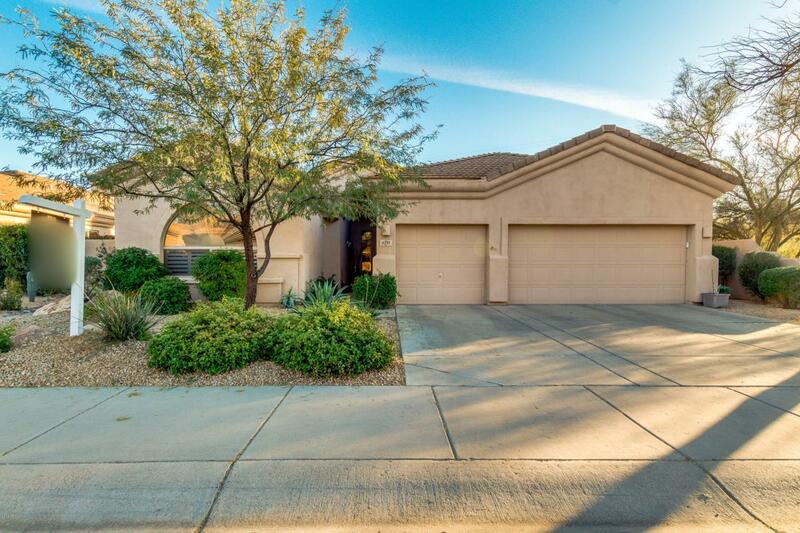 Enjoy Grayhawk living with its prestigious golf courses,restaurants, shopping, tennis, pickle ball, miles of walking trails and all located close to the 101 freeway.